Creatures are everywhere, not just in the Thicket, but also in the City, and they are sometimes wise. The first creature book collects some of their wisdom. But we hope to bring out more, to answer more questions, and to provide special doodles for people who need them. This is a winter and early spring book. Now that proper spring is finally on its way, it is good to know why children refuse to leave swimming pools, the true purpose of horizontal wind, and the fate of small green leaves. Creatures Give Advice is based on answers to questions sent to the Thicket Advice Bureau by writers and scholars all over the world. 5.0 out of 5 starsAn Original! 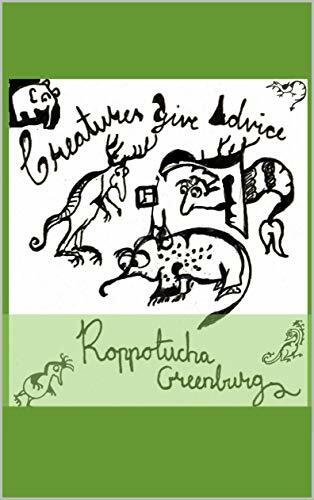 Ruppotucha Greenbergs' 'Creatures Give Advice' is different. Funny, fascinating, wise. The beautiful illustrations are doodles with minds of their own. Finally they can step into the light, stand their ground. In The Thicket that is. A wonderful place harbouring a brimful of advice and answers to every question needing a response. Creatures Give Advice is quite unique, a beautiful strangely human creation. I loved this book! 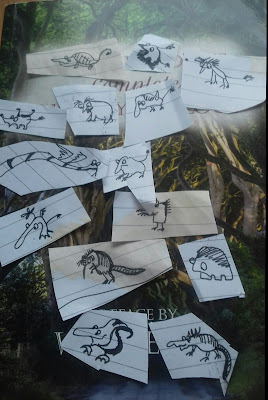 The doodles have oodles of personality, and the creatures have a unique perspective on life. Their answers to dilemmas are always humorous, and often sage. The reader gets caught up in the fun only to be side stepped by flashes of insight. Ropputucha has created a lovely, whimsical book that will withstand plenty of rereading. Utterly enchanting, Roppotucha! It reminds me of many beloved children's books AND has wise words for us putatively grown-up writer types. I felt bad paying so little. 4.5 stars. Roppotucha is a talented artist with a unique style (elaborate and minimalist at once). The creatures' Advice Bureau is super-sweet and the creatures go off on the most whimsical little tangents.